No one on Capitol Hill has a more powerful alumni base than New York’s senior senator, Chuck Schumer. The people who have worked in his office are now machers in a number of fields—one ran Mayor Mike Bloomberg’s last campaign; another serves as the country’s most prominent federal prosecutor. What explains their success? 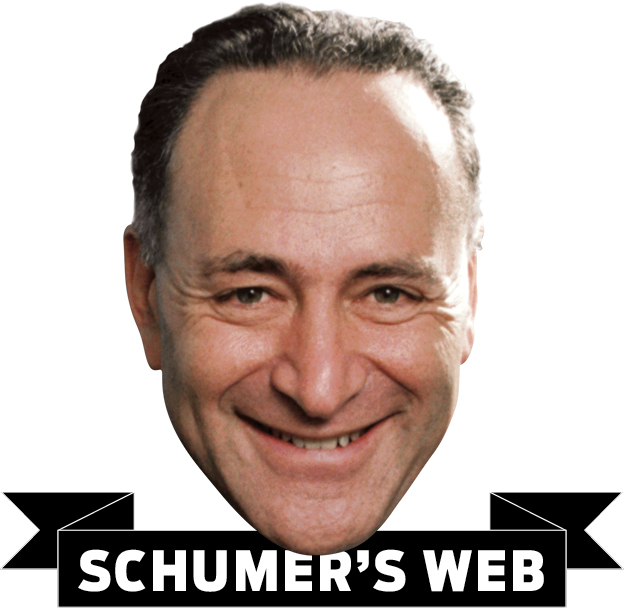 Schumerites say that the work ethic required just to keep up with Chuck never goes away—there’s a reason why Hillary Clinton once called his office “the boot camp of politics.” The connections they make with each other (and there are plenty, since Schumer was first elected to public office at 23) surely don’t hurt, either. Here, the definitive map of Schumerland, proving that the senator’s imprint on American life will be huge, even if he never ascends to majority leader. *some of the job titles on this chart are not current, which explains why several people show up in multiple places.